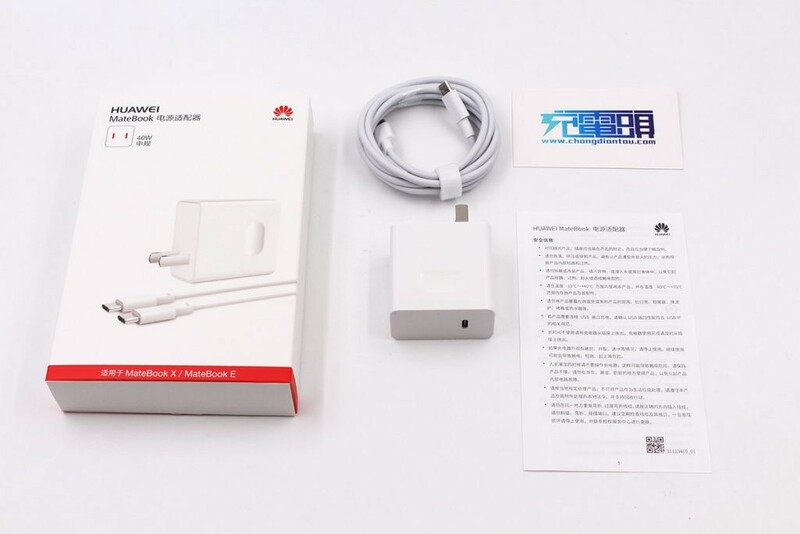 Huawei 40W Fast Charging Brick (HW-200200CP0) Unboxing - 网友心声 - 充电头网论坛 - Powered by Discuz! One of the special things about Huawei’s MateBook X line of laptops is that its charging brick is very small — almost the same size as a smartphone charging brick — which makes it significantly less cumbersome to carry around than most laptop charging bricks. Today we will do an unboxing of the charging brick. Looking at the back of the box we see the usual specs. This brick can support AC100-240V and 50/60Hz rates. It can pump out 5V/3A, 9V3A, 12V/3A, 15V/2.66A, 20V/2A power. 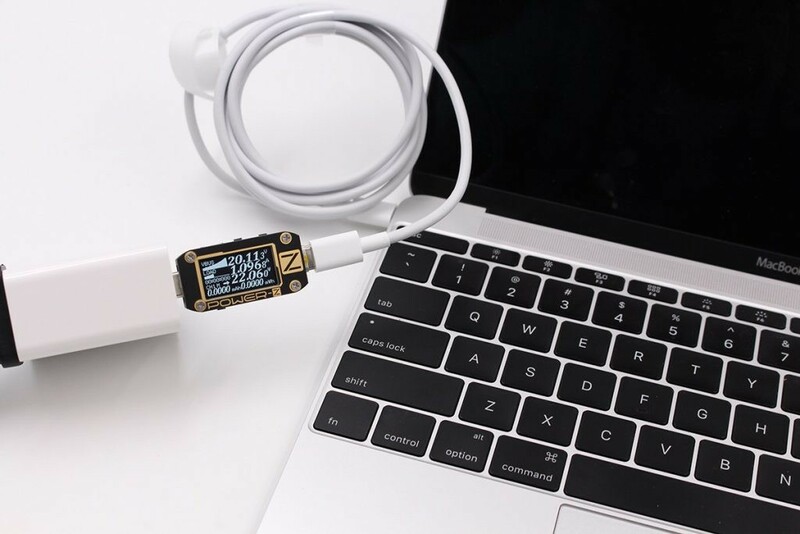 The charging brick comes with a 1.8-metre long USB-C to USB-C cable. 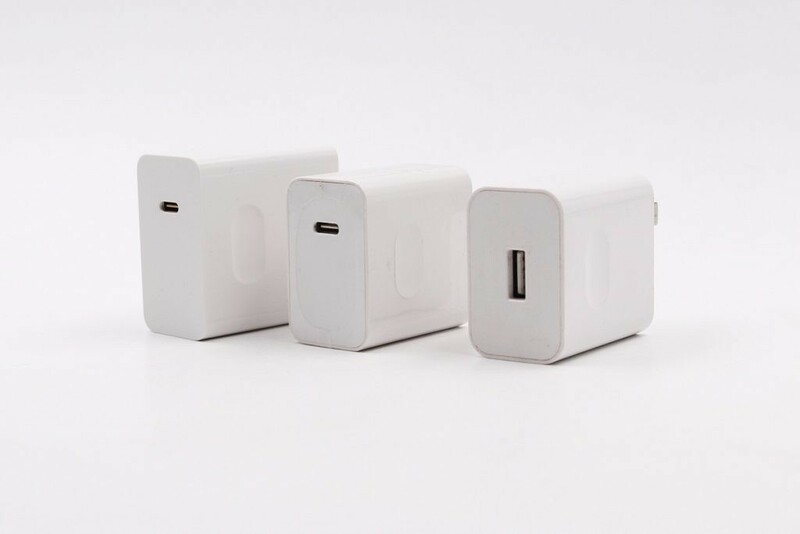 The brick itself is expertly made and has all the craftsmanship one would expect from China’s biggest tech company. The surface material is smooth and shiny, while the USB-C input is smooth and has a stylish chamfered edges. 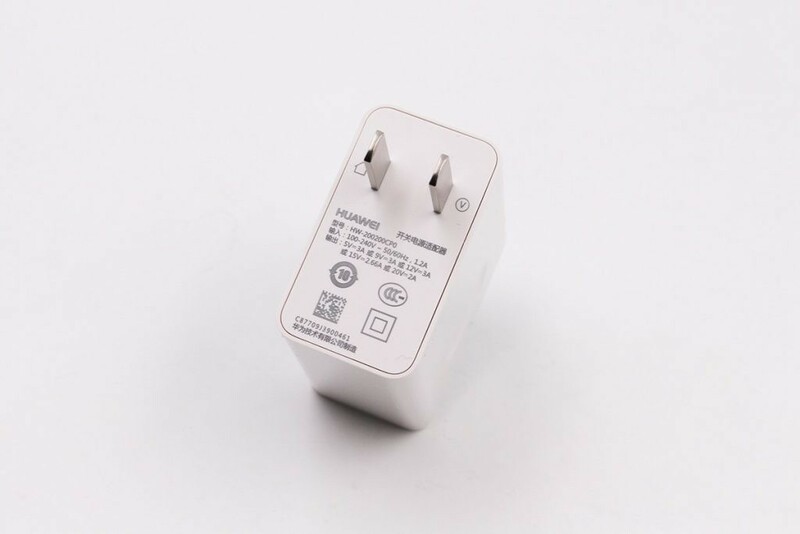 The plug uses the two leg style that’s used in China, Japan and the US. 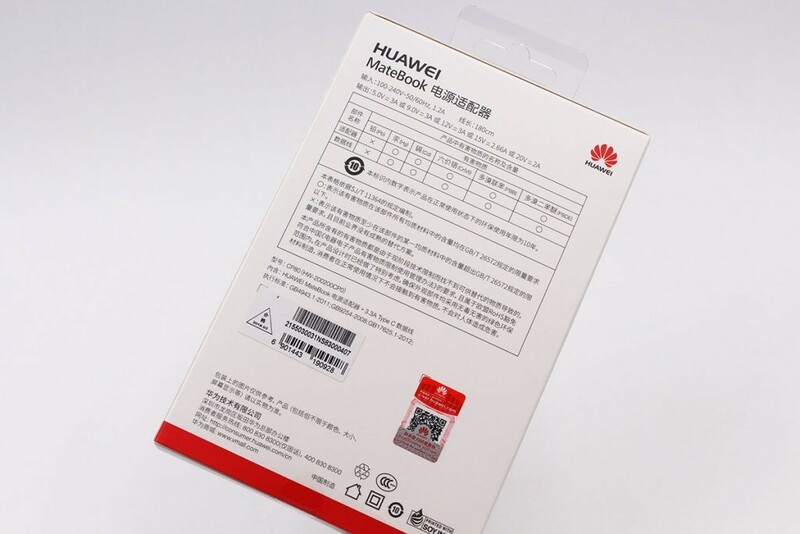 The model number, as you can see from the photos, is HW-200200CP0, and can pump out power up to 40W. It’s of course CCC certified. 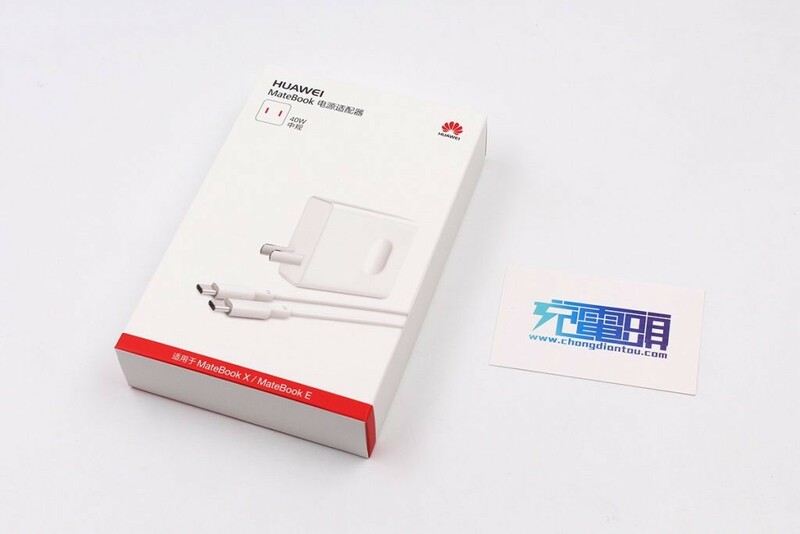 Here’s the new charging brick (left) next to Huawei’s two other bricks, including the 24W USB PD (HW-59C200CHPQ1) in the midddle and the 22.5W Fast Charger (HW-050450C00) at the right. Notice the 40W charger isn’t much bigger despite packing so much more raw power. 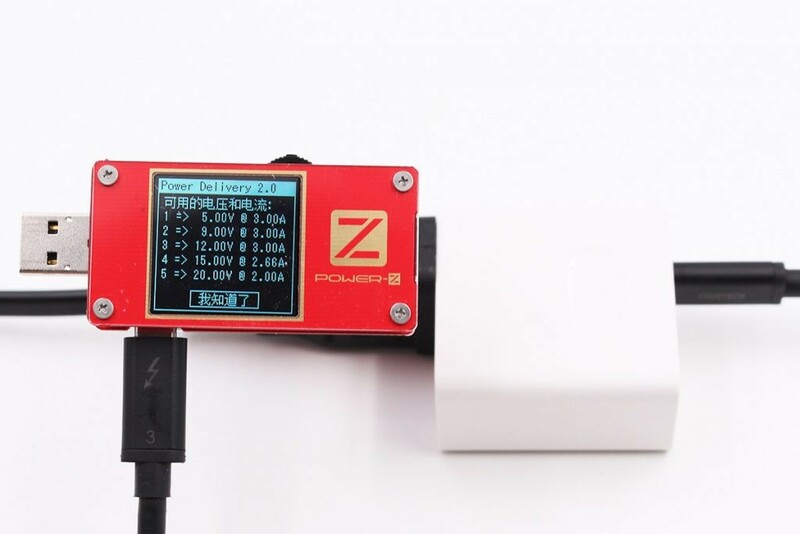 We ran a test on using our ChargerLAB Power-Z KT001 and see that the brick does indeed support USB PD2.0 standards, and outputting at 5V/3A, 9V/3A, 15V/2.66A, 20V/2A. 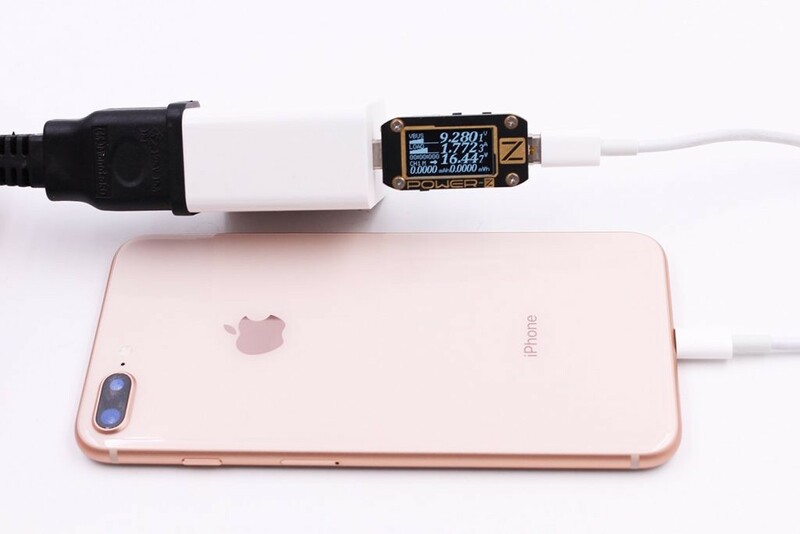 It can charge an iPhone 8 Plus using Apple’s fast charging speed, which is around 16W. 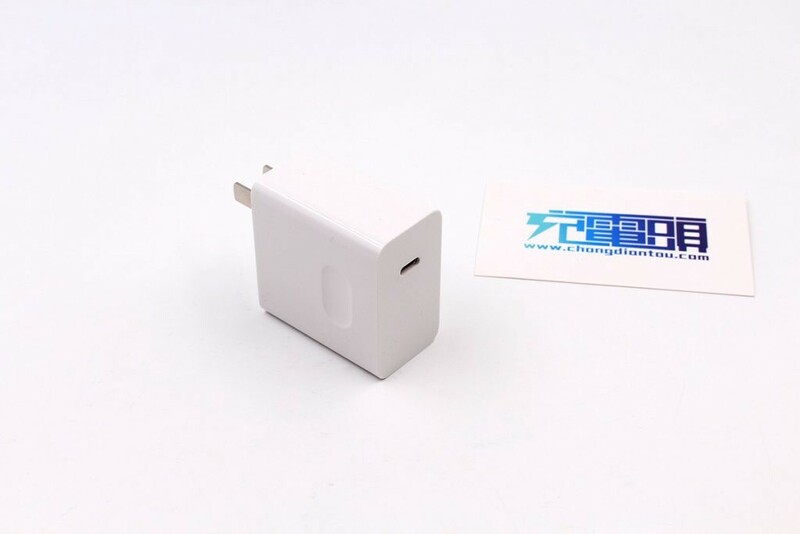 It can also fast charge the new MacBook too, at 22W. When pushed, it can charge up to 39.6W speed, which is enough to the advertised 40W.